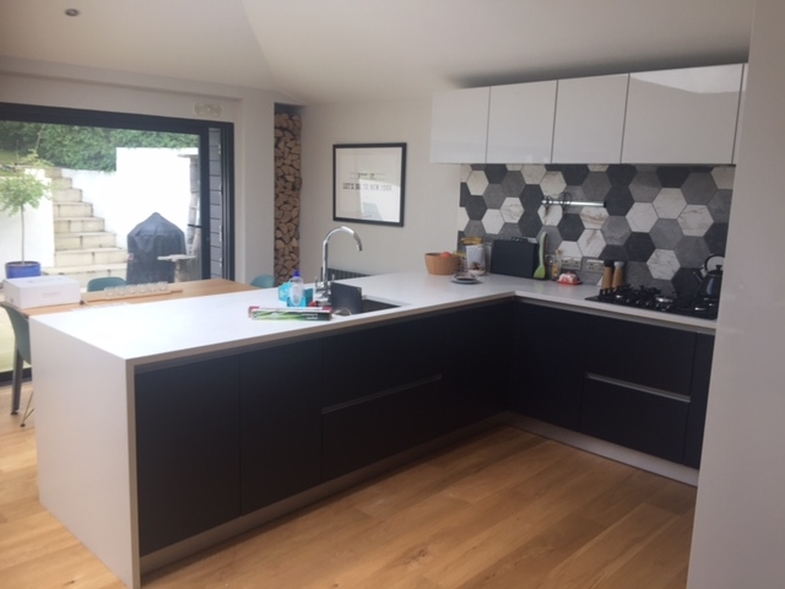 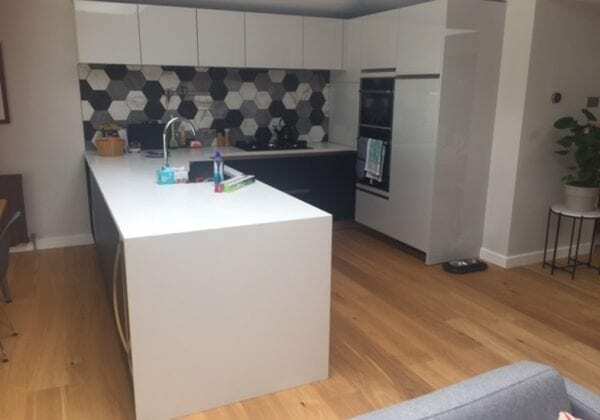 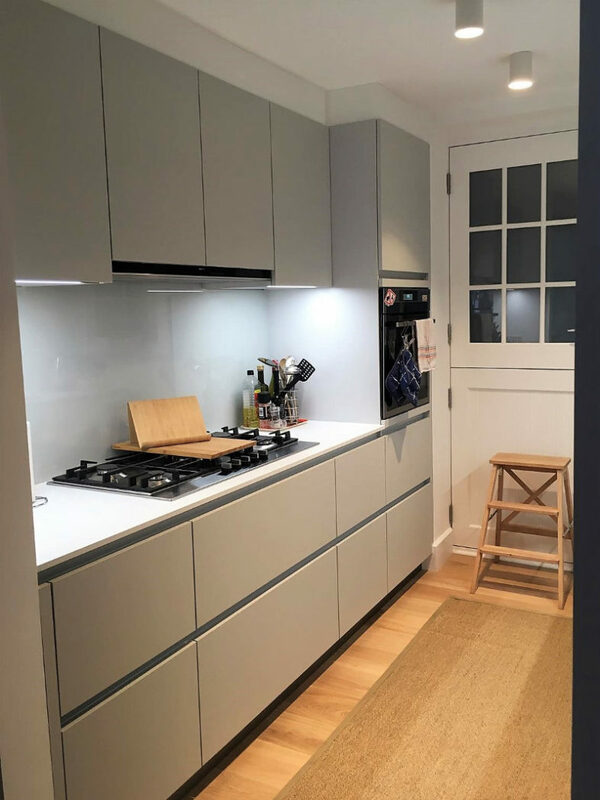 Stylish, two tone kitchen photos sent in by our customers Rebekah and Jon Wells, thank you to you both. 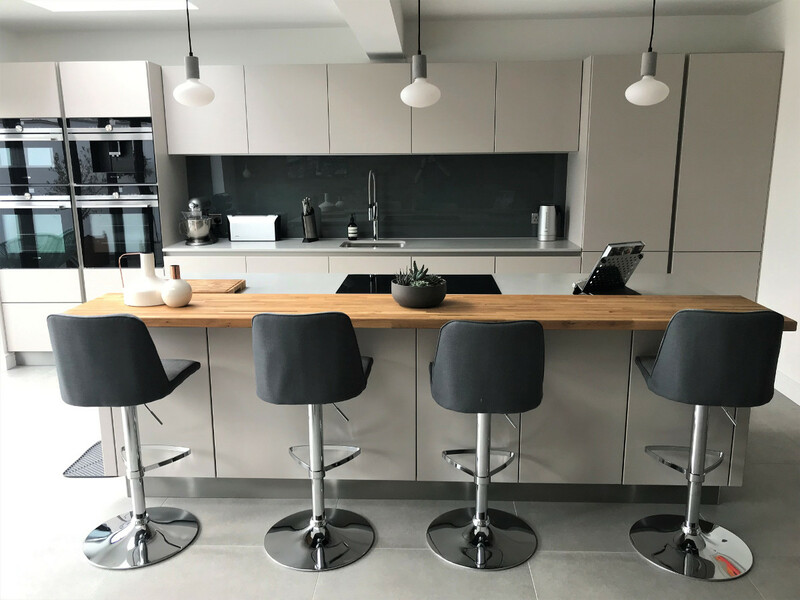 Chosen from our Next 125 range featuring Crystal grey high gloss on the tall and wall units combined with contrast colour Indigo blue in the sublime satin lacquer finish on the base units. 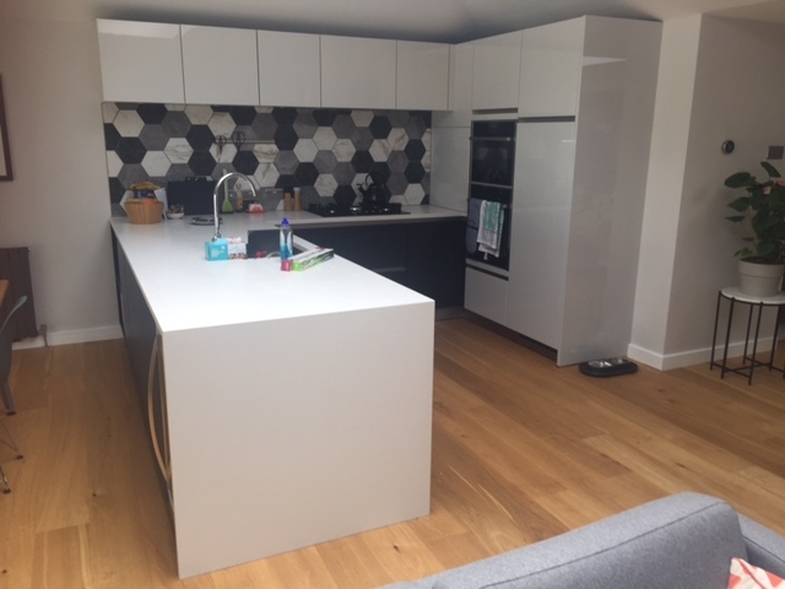 We like the hexagon mosaic splashback which ties in well with the two key colours used for the units. 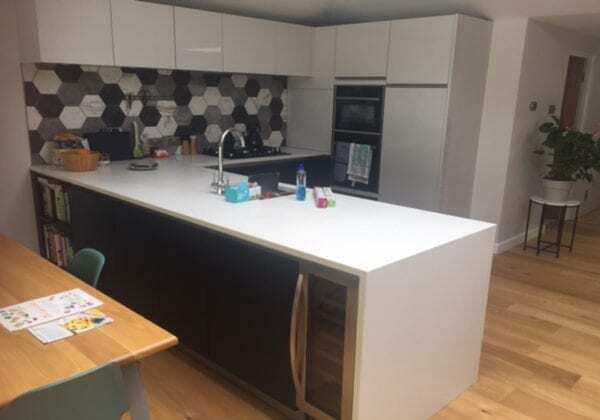 The worktop is Quartz stone Zement at 20 mm thickness, wall unit height is 500 mm.